See you at the Raspberry Pi 3rd Birthday Party! I'm looking forward to this weekend's birthday party for the Raspberry Pi in its home town of Cambridge. The programme of events looks incredible, with talks, workshops, marketplace stalls, discussion areas, a Robot Wars style obstacle course, and show and tell tables, plus a party in the evening. It's going to be amazing. On the Saturday, I'll be helping to run a Scratch hackathon where we'll be inviting attendees to see what they can build in a couple of hours in the afternoon. 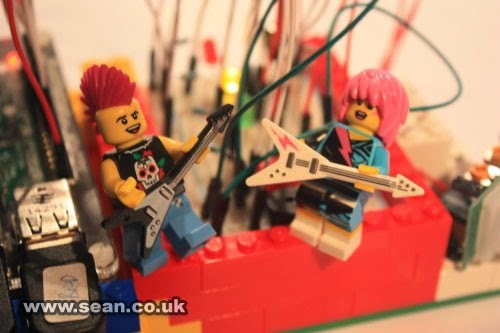 We'll have some CamJam EduKits available, and we'll have ScratchGPIO, so attendees will be able to make physical gadgets with LEDs, buttons and buzzers controlled from Scratch, as well as more traditional on-screen experiences. Tickets for this session are now fully booked, but if you don't have one, please do come along to the session in lecture theatre 1 at 3.30pm to see what they built! We're expecting some children to take part and I'm sure they would love to show you what they made. If you'd like to get an idea of how you can use Scratch to light up LEDs and make a burglar alarm, see my new article here. On the Sunday, I have a show and tell stand. I'll demo my Minecraft maze maker, and have all my coding demos from my books available. I'll also have my Scratch burglar alarm set up, so if you want to see how you can use Scratch for physical computing, please drop by. I'll be happy to chat and see if I can help if you have any queries. I'll bring along some books too (including the new edition of Raspberry Pi For Dummies, Scratch Programming in Easy Steps, Web Design in Easy Steps, Raspberry Pi Projects, and Coding for Kids). I'll have copies of Raspberry Pi in Easy Steps and Python in Easy Steps on hand too. I've got some Code Club leaflets, and I'll be happy to talk to you about my experience as a Code Club volunteer helping to teach programming in a school. If you're interested in helping to inspire the next generation, or want to find out how you can set up a Code Club in your school or local venue, drop by for a chat. Mike Cook, my co-author on Raspberry Pi For Dummies, also has a Show and Tell stand, so look out for him too! It's going to be a busy weekend and there is so much to see and do, but if you've got a moment to say 'hi', it would be great to meet you! When I launched my first home page way back in the late nineties, one of the features was a game called Wild Mood Swings. In it, you choose your mood from a pulldown menu, and it takes you to a site appropriate for that mood. Sometimes, the destination will reinforce and reflect the mood, and other times it will attempt to reverse it. I later spun the site off into its own website, and it was featured in the Daily Mirror, Web User, Radio 2 and others. As part of a move to simplify my online presence, I've now brought Wild Mood Swings back into my main website here (any existing links will redirect smoothly). I've also tested and refreshed the moods, so there are some new moods to try, as well as a few that date back to the original launch. If you've got suggestions for any missing moods or any great sites that should be included, let me know here or leave a comment below. Next time you've got a few minutes, why not try mood surfing? 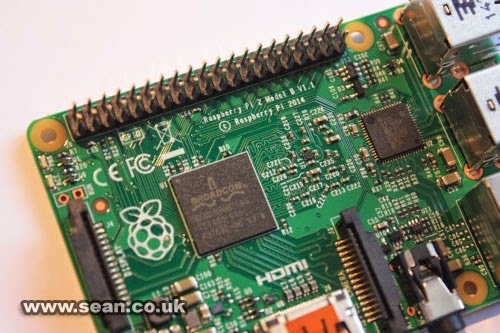 What's changed in the Raspberry Pi 2 and the new Raspberry Pi desktop? There was much excitement this week as the Raspberry Pi Foundation released the Raspberry Pi 2 Model B, boasting 1GB of memory and a four-core processor. The box for the Pi 2s sold by Element14 proudly declares that the new Pi is six times faster than the previous Model B, although I've heard that for some highly optimised applications performance could exceed that. I got a Pibow case to go with mine, in a different colour from my previous ones, so I can tell the new Pi apart from my previous Pis. The new Raspberry Pi 2 is 6x faster, says the box! Today, I had time to plug mine in and try it out. The first thing to note is that you won't be able to use your existing Raspbian/NOOBS MicroSD card. Even if you update it (and upgrade it), it won't work when you plug it into the new Raspberry Pi. You need to start over, reinstalling Noobs on the card, otherwise the Pi will freeze on the rainbow screen at the start. If you can't get your new Raspberry Pi 2 to boot properly, make sure you've installed the latest software on your card. Note that reinstalling the operating system wipes the card, though, so make sure you have a backup of your data (or better still, start over with a new card). The new Pi is compatible with the same files and applications as your older Pis, but you will need to copy files to your new SD card and re-install your applications. The Raspberry Pi 2 is the same as a Model B+ in terms of hardware, so it is compatible with any add-ons or GPIO software written for that (and also features the extra GPIO pins and USB sockets). It was immediately obvious that it was faster. When I was writing Raspberry Pi For Dummies, I tried a number of applications on the Raspberry Pi, including LibreOffice (a word processing, spreadsheet and presentations suite) and GIMP (a photo editing package). They're both covered in the book, but I cautioned that they might run a bit slower than you're comfortable with. Well, not any more! You can edit images without lag, and use LibreOffice without pushing the processor to the point where things slow down. The Pi is starting to become viable now not just as a second computer, but also as a primary Linux desktop for basic home and school use. Since we published Raspberry Pi For Dummies, 2nd edition, a new version of the desktop software has been released too, giving the Pi a much classier look, whichever model of the Pi you are using. There are a few changes from what's in Chapter 4 of the book, as a result, although I don't think there's anything that's likely to cause real confusion. There's just one browser now. It's Epiphany, the one covered in depth in the book. The programs menu and taskbar have moved from the bottom of the screen to the top. The menu button now says 'Menu' on it. To find out how much you're maxing out the processor, you now look to the top-right. If you have a Pi 2, you're going to be pleasantly surprised! There are no icons on the desktop any more, unless you put them there. You access everything through the menu. The WiFi Config tool can be found in the Preferences section of the menu. To change your desktop appearance, you now choose Theme and Appearance Settings, under preferences in the menu. There is no Other category in the menu now. It was always a bit of a 'dustbin' of things that should have better homes or be hidden from the user. But if you install software that expects to go there, you might have difficulty finding it in the menu. XInvaders 3D, one of the ten recommended software packages in Chapter 19, installs into Other and so doesn't appear to be in the menu any more. To run it, use the Run option from the menu, and type in 'xinv3d'. 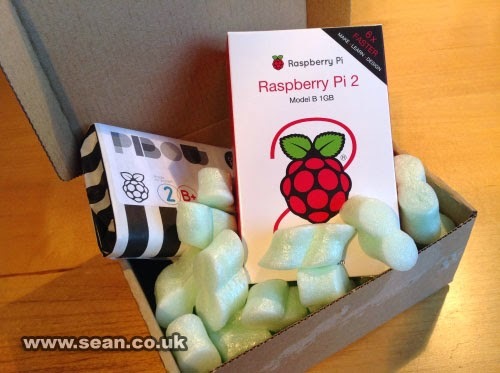 Will you be getting a Raspberry Pi 2? How will you use it? Leave a comment below! Find out more about Raspberry Pi For Dummies, 2nd edition.